The thyroid hormones are essential body hormones produced by the thyroid glands. These tyrosine-based hormones are known as thyroxine, also known as T4 and triiodothyronine, also known as T3. These thyroid hormones are responsible in regulating the body’s metabolism, which is how much food will be broken down into useful energy for consumption. One important ingredient in the production of thyroid hormones is the element iodine. 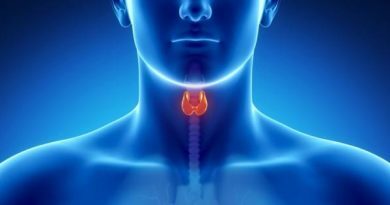 The production of thyroid hormones starts from the stimulation of the pituitary gland, TSH and in return will be regulated by the hypothalamus’ TSH releasing hormone. Thyroid hormone tests are basically blood tests that will somehow check one’s thyroid, whether it is dysfunctional or not. In these tests, thyroid hormone deficiency can also be determined. This deficiency occurs when the thyroid hormone levels in the body is irregular, that is too low or too high. According to webMD.com, thyroid hormone test include three blood tests- total thyroxine for T4, free thyroxine and triiodothyronine for T3. Total thyroxine measures how much free and bound thyroxine is present. Free thyroxine, on the other hand, determines how much are free thyroxine from the bounded ones. Finally, triiodothyronine identifies how much are both bound and free triiodothyronine are in the blood. Most patients with hypothyroidism have some degree of associated depression, ranging from mild to severe. 10% – 15% of the patients with a diagnosis of depression may have thyroid hormone deficiency. Patients with depression should be tested to determine if they have a thyroid disorder. Several research studies have been done and continue to be done on the association between depression and thyroid disease. Although all forms of depression, including bipolar disorders like manic depression, can be found in either hypothyroidism or hyperthyroidism, depression is more often associated with hypothyroidism. Many patients with hypothyroidism have some degree of associated depression, ranging from mild to severe. If a large population of depressed patients was screened, a significant percentage, perhaps 10% – 15%, would be found to have thyroid hormone deficiency. For this reason, patients with a diagnosis of depression should be tested to determine if they have too little thyroid hormone. If they do, thyroid medication should be prescribed. Thyroid hormone is sometimes prescribed for depressed patients with normal thyroid function because it magnifies the beneficial effects of certain antidepressants. Lithium, a commonly prescribed drug for certain types of depression, has profound effects on the size and function of the thyroid gland. Patients taking lithium need periodic examinations of their thyroid gland and thyroid function. The leading cause of hyperthyroidism is an autoimmune disease called Graves’ Disease. The leading cause of hypothyroidism is an autoimmune disease called Hashimoto’s thyroiditis. Autoimmune diseases tend to run in families. In other words, there is a strong genetic predisposition to develop one or more autoimmune diseases. Females are affected five times more than men by autoimmune disease. Patients with other autoimmune diseases are more likely to develop autoimmune thyroid diseases. Researchers are trying to unlock the mysteries of autoimmune diseases, but there are still many unanswered questions. Basically an autoimmune disease occurs when the immune system produces antibodies that attack healthy tissues. In Graves’ disease, the immune system produces anti-thyroid antibodies that cause the thyroid gland to make too much thyroid hormone. In Hashimoto’s thyroiditis, antithyroid antibodies damage the thyroid gland and prevent it from producing enough thyroid hormone. One of these two types of antibodies is found in nearly all patients with Hashimoto’s thyroiditis and in approximately 50% of patients with Graves’ disease. The eye changes associated with Graves’ disease can be called either Graves’ ophthalmopathy, Graves’ orbitopathy, or Graves’ eye disease. Approximately 50% of the patients with Graves’ disease develop some eye disease, but the eye changes may be so subtle that patients are unaware of them. For most patients with Graves’ disease, eye involvement is minimal. Severe orbitopathy occurs in less than 5% of patients with Graves’ disease. Graves’ eye disease is not caused by thyroid dysfunction. Graves’ disease is an autoimmune disease that affects the eyes and the thyroid gland independently of each other. Thus, the hyperthyroidism may improve with therapy, while the eye disease stays the same or gets worse. Even though the thyroid disease and the eye disease run independent courses, it is important to treat the hyperthyroidism associated with Graves’ disease. An ophthalmologist is usually involved in the treatment of Graves’ eye disease. Most thyroidologists and endocrinologists should be able to recommend an ophthalmologist experienced in the treatment of Graves’ eye disease. In addition, The Thyroid Society maintains a list of such ophthalmologists throughout the country. Symptoms of Graves’ eye disease may include a feeling of irritation or sand in the eyes, double vision (diplopia), and excessive tearing. Inflammation and swelling behind the eye may cause actual protrusion of the eyeball from the orbit. When this protrusion occurs, it is called exophthalmos or proptosis. When the eye changes are severe, there may be marked swelling of the eye, inability to move an eye, corneal ulceration, and in extreme cases, loss of vision. Fortunately, these severe changes occur infrequently, but when they do occur, consultation with an ophthalmologist is essential. Graves’ eye disease usually affects both eyes, although each eye may be affected to a different degree. In some cases, only one eye is affected. The course of Graves’ eye disease is unpredictable. The initial, or active, phase of Graves’ eye disease may last for eighteen to twenty-four months. During this time period, the eye signs and symptoms may change considerably. For this reason, physicians are reluctant to use certain treatments, such as surgery, during this phase, fearing that ongoing inflammation will cause the eyes to change again after surgery. Thus, most physicians advise patients to defer treatments such as surgery until the eye disease goes into an inactive phase. Of course, if a patient’s symptoms are severe or if loss of vision is threatened, then all available treatments will be used at any time, even during the active phase. Most patients will receive only symptomatic treatment during the active phase of Graves’ eye disease (see list below). Most importantly, it should be stressed that smoking aggravates Graves’ eye disease. When symptoms of inflammation are severe, either steroids in large doses or radiation therapy may be advised. Surgery (orbital decompression) is sometimes recommended when the inflammation is so severe that loss of vision is threatened. The choice of therapy among steroids, radiation, and surgery (used individually or in combination) and the timing of therapy require a great deal of thought on the part of the team caring for the patient with Graves’ eye disease. Once the inflammation in the eyes has stabilized, or entered the inactive phase, patients may then have surgery to relieve signs and symptoms, such as lid retraction, swelling around the eyes, or double vision. Ophthalmologists specializing in plastic surgery of the eye perform the surgery to relieve lid retraction and swelling around the eyes. Sometimes other ophthalmologists who specialize in diseases of the muscles of the eye perform the operation(s) to relieve double vision. 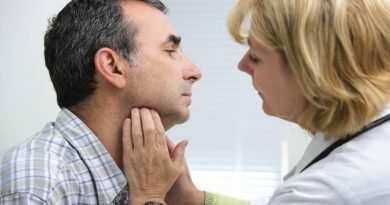 When one is having hypothyroidism or any condition that results to the thyroids under activity like surgery or radioactive iodine, one is in need of thyroid hormone replacement. The process of thyroid hormone replacement includes proper medication of essential drugs that will help the body with its supply of thyroid hormones. 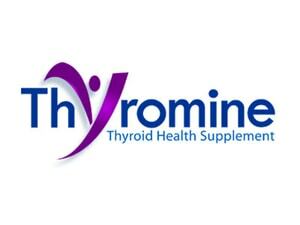 One of the most prescribed thyroid hormone replacement drugs for medication is the levothyroxine. Levothyroxine is a kind of drug made of synthetic T4 hormone. It can also be referred to as l- thyroxine. Other thyroid hormone replacement drugs include synthetic forms of T3 hormones and some animal- based desiccated thyroid. These drugs are said to replenish lost thyroid hormones in order for the body to continue with its essential functions. Thyroid hormones play a vital role in the body’s processes. Some of these processes include breaking down of materials to be used as energy. Consult a doctor for any information about the thyroid hormones.